I missed last week's post due to getting home very late from a Sunday wedding and then going to work on Monday morning. It was a fun weekend though - the wedding was great and I had a relaxing Saturday filled with a day at the hair salon and a trip to Barnes and Noble sans kids. 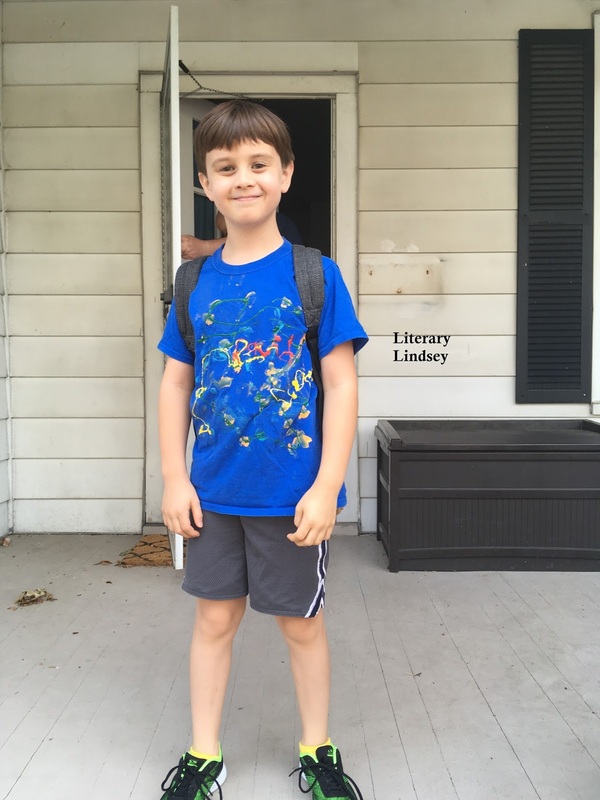 This week, we had Back to School night at D's school, our church picnic, and dinner with my in-laws. On to the reading! 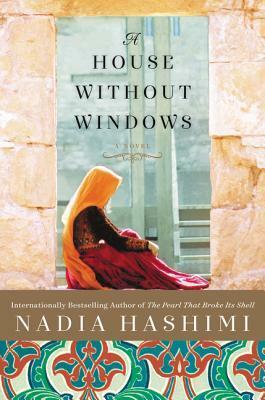 In the past two weeks, I read A House Without Windows, a novel about a woman in Afghanistan who is waiting to be tried for her husband's murder. 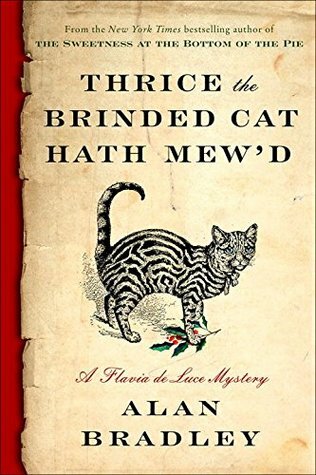 I followed it up with the new Flavia de Luce book Thrice the Brinded Cat Hath Mew'd. 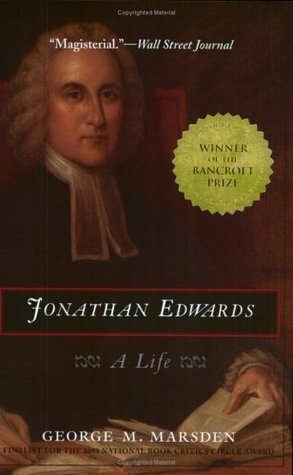 After that, I read The Dollhouse and finally finished my Jonathan Edwards biography after six weeks of reading. 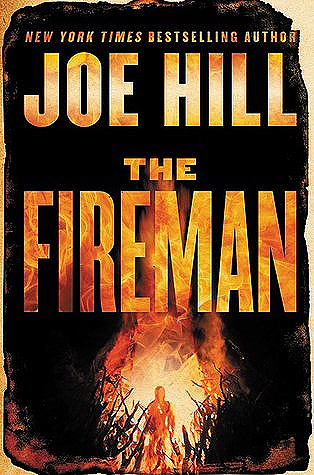 I'm making good progress with Joe Hill's giant book The Fireman and then I'm going to pick up Wearing God by Lauren Winner. Effia and Esi are half sisters who are born in different villages in Ghana. Effia marries a powerful Englishman and lives in luxury at Cape Coast Castle. 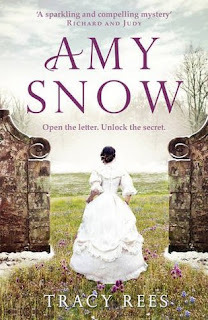 Her sister is imprisoned beneath the castle and shipped off to America as a slave. The sisters never meet, but both women are the matriarchs of generations who achieve things their ancestors could never have imagined. Effia's children and grandchildren deal with the devastating consequences of the slave trade and the conflicts between the Fante and Asante people. Esi's descendants are forced into lives of slavery before escaping and facing the danger of coal mining in Alabama and discrimination in 20th century New York City. 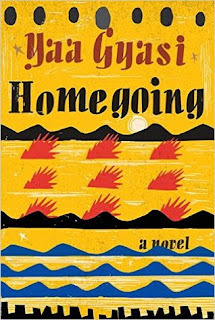 Homegoing is Yaa Gyasi's debut novel and it is a powerful, unforgettable story. 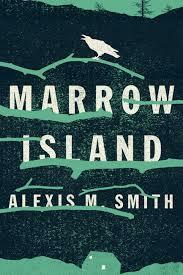 The book is told in alternating chapters, as we travel 250 years with Effia's family and Esi's descendants. Each story is brutal, but there is also an inescapable feeling of weight as generation after generation is the victim of hatred and abuse. Slavery has consequences for generations for both the enslaved and the countries and families they are ripped away from. Each chapter is rich with research, without that unfortunate feeling of info dumping that can happen in historical fiction. The heart of Homegoing, of course, resides with the relationships. We see parents sacrifice for their children, a man searching for his pregnant wife, a son reuniting with his mother, and a young woman who feels torn between her grandmother and history in Ghana and her life in America. While it can occasionally be frustrating to leave behind characters you've come to care for, it's a testament to Gyasi's writing that you want to stay with them for a longer time. 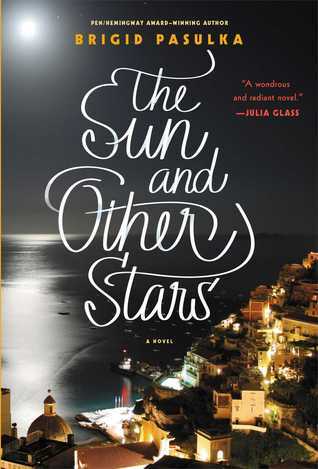 Each moment in time is carefully constructed and, taken altogether, this novel is a heartbreaking and beautiful testament to the legacy of both pain and love. Readalongs is a new feature here at Literary Lindsey. As you probably know, I have two littles (8 and 3, respectively). It's fun to read beloved childhood classics with the kids in your life. But it can be even more fun is to pair books for kids and adults that have the same kind of stories. So, welcome to volume 2 of Readalongs! 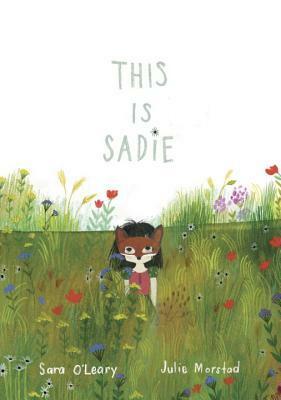 This is Sadie is written by Sara O'Leary and illustrated by Julie Morstad. This picture book follows a small girl through her day as she imagines herself on all sorts of adventures. She knows that the best way to spend a day is inside a story, whether she is reading one or using her imagination to make one from scratch. Mr. Fox by Helen Oyeyemi is also a book about imagination. Our protagonist is St. John Fox, a novelist with a propensity for killing off his female protagonists before the final page. He has (of course) named his artistic muse Mary Foxe and she inspires him to put pen to the page...until she comes to life and forces him to reevaluate his writing and his relationships. Both books use imagery of foxes throughout. Sadie loves foxes and careful readers will see that her stuffed fox and fox mask make several appearances throughout the book. In Mr. Fox, the names of the characters are obviously references. But foxes will make a few more appearances in the stories that St. John and Mary create. The second similarity is that both books are about the nature and magic of story. Sadie boasts that she is never bored, because there is so much to do. She loses herself in the stories of Mowgli, Alice, and other beloved fairy tales. She has wings (of course) and proclaims that she loves to spend her days with her friends, both real and fictional. St. John is a writer, a creator of stories. 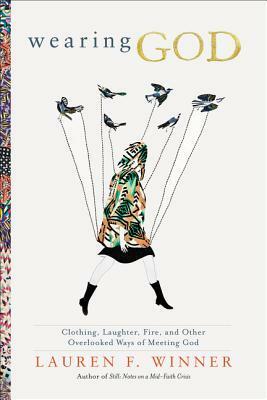 Oyeyemi's novel looks at the responsibilities of a writer for his characters and tales and the ways that authors are irrevocably connected to their stories. Rachel Bertsche is newly married and living in Chicago with her husband. She is far from all of her friends and realizes that she misses having people in her life to make impromptu plans, and who she can count on when times get tough. She decides to go on 52 friend dates (one for each week of the year) and investigate every possible way to find a new friend. Bertsche gets recommendations from mutual friends in other cities, meets up with people who read articles about her experiment, enrolls in different classes, and even rents a friend. I picked up this book because I'm feeling that I could use a few more friends in my life. My best friend since high school is across the country these days, none of my three sisters live especially close by, and I don't work in a large company where I could go out with co-workers. My husband is the pastor of our church so while I am close with many people there, thing tend to be a bit more complicated. 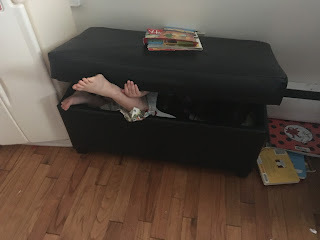 Our neighborhood has a lot of older teachers with grown children and I have an eight year old and a two year old. I'm also an introvert, so the idea of chatting up total strangers tends to give me a bit of anxiety. 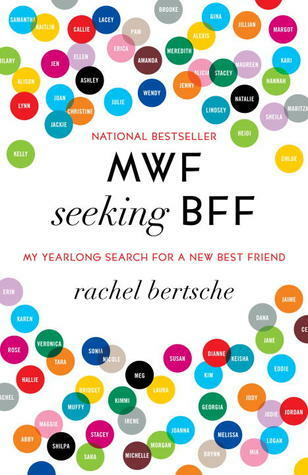 Reading MWF Seeking BFF was reassuring for me as Bertsche confirmed that I am not the only one who gets a little jealous when I read about people calling friends over for a spur of the moment visit. Making friends as an adult is much harder than it was when I was in kindergarten and asked the girl at the next cubby if she wanted to be my friend. It also confirmed something I dread as an introvert. To make new friends, you really have to put yourself out there again and again. Some people will not want your friendship and some people won't click with you. But on occasion, the woman you chat with at the indoor playground will offer to exchange numbers (true story; this happened the other week). So I'm going to do my introvert best. I'm going to try to talk to more people. I'm going to see if taking a class or pursuing a new interest will lead to some new friends in my life. Bertsche has a very easy conversational writing style and I think she hits a great balance between her own experiences and sharing some research about the benefits of friendship. However, there is a point about halfway through the book when she has met a lot of new people and is finding that her schedule is almost insanely full. 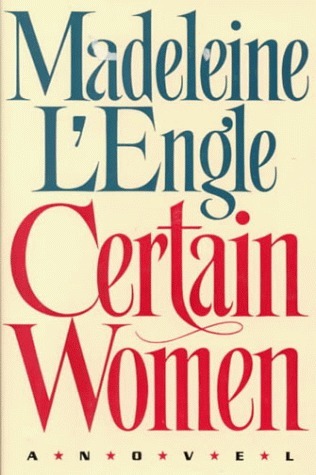 For the second half, it feels much more like a stunt memoir where the author has to go on a certain number of outings with potential new friends, even though she has no more time or attention to give them. Making friends as an adult is difficult. Free time is precious and it's hard to know who is interested in starting up a new relationship. 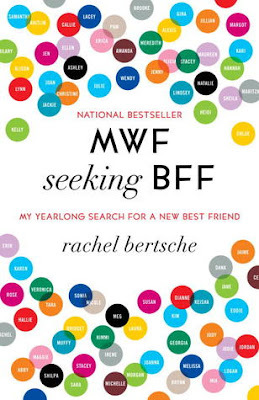 Reading a book like MWF Seeking BFF can certainly give us all some ideas for making new friends and encourage us that we are not alone in needing a friend or two. 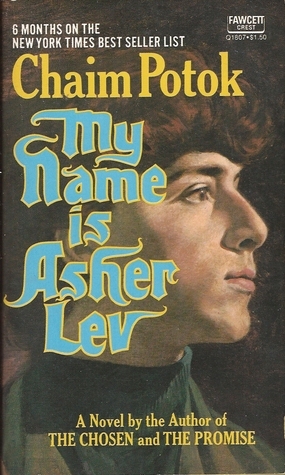 It's 1942 and Esther is the daughter of a top official in Khazaria. As Jewish refugees crowd into refugee camps and Germania approaches their boarders, Esther seems to be the only one who truly understands the danger they face. She steals one of her father's mechanical horses and sets off with her best friend to seek out the Kabbalists, a group that just might hold the key to winning the war. 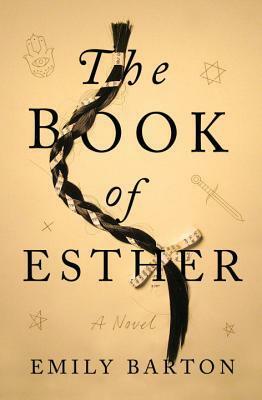 The Book of Esther is a somewhat dizzying read, as Emily Barton constantly redefines the kind of book she is writing. It's an alternate history, with a side of steampunk and the supernatural. It's somewhat difficult to read, as Barton has changed a significant amount of history/geography/people of note. But it's sometimes tough to know what is accurate and what Barton has rewritten for story purposes (obviously the werewolves and metal horses are fictional). 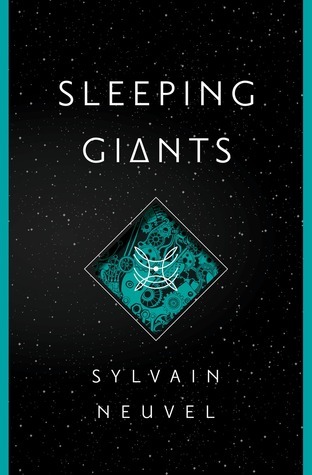 This book didn't really work for me, but it's an inventive adventure for the reader looking for a very unique story. 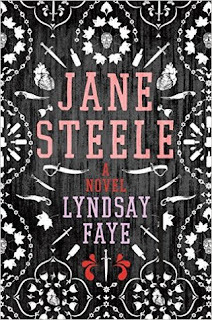 Jane Steele sees many similarities between her life and the life of her favorite heroine Jane Eyre. She finds herself in horrible situations with her aunt and her boarding school. She flees her school and tries to survive on the streets of London until she makes an intriguing discovery. There are new people in her childhood home and they are looking for a governess. Jane plans to return to Highgate House and reclaim it from its current tenants. But her plan starts to fall apart when, like her beloved Jane Eyre, she starts to fall in love with the master of the house. 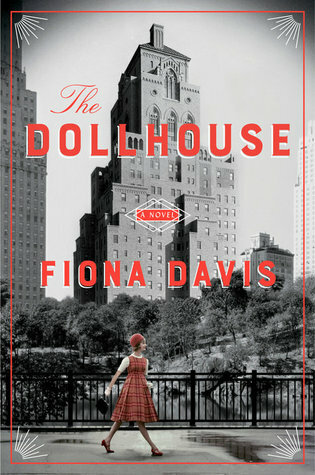 Jane and Mr. Thornfield both have secrets that could destroy any hope of a relationship and even cost them their lives. 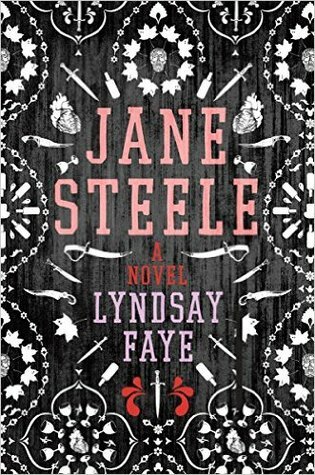 Jane Steele is a wonderful book to read. It's a fun, well-written story that you will be happy to speed through. Jane in her younger years reminds me a bit of a darker Flavia de Luce and I enjoyed imagining what kind of trouble the two girls could get into. Our protagonist struggles with what it means to be a good person when you've done horrible things and made impossible choices. While the book references Jane Eyre fairly often, you won't be missing out if you haven't read the classic yet. I'm sad that I waited so long to read it, but I would recommend it to any reader who likes a little darkness, adventure, and humor while following the best kind of heroine. Victor works for the United States Marshalls. But his job description is not quite what you might expect: he tracks down slaves who have escaped and takes them back to the the Hard Four, or the states that still have slavery in the 21st century. Abraham Lincoln was assassinated before he became president and the Civil War never happened. Instead, the states decided to leave free states free and retain slavery in the states that wanted it. Victor is trying to find a man named Jackdaw. As he tries to determine who is illegally transporting slaves, he finds himself actually caring for the people he meets. It becomes increasingly difficult to ignore his own past and his growing feeling of unease about this case. 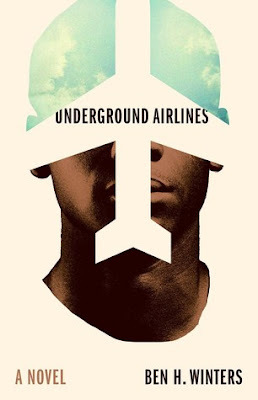 Underground Airlines manages to be two different books at once: it is a book that is carefully examining racism and history while also reading like a thriller. Once the story gets moving, it's difficult to put down as Victor peels back the carefully held secrets that are holding together the perilous division between slave states and free states. The most jarring aspect of this book is the sheer number of things that are the same in this imagined universe as they are in our own. Northern states have "Clean Hands" laws, which supposedly means that they do not use products created through slavery. But everyone is complicit, as they ignore the pain and labor of black people in factories and plantations. Victor and his new friend Martha (a white woman) witness prejudice first hand as they travel together. There is a lot to think about here, as Victor appeals to people's sympathies as a way to find and return people to slavery. Victor himself is an enigma. He slips in and out of personalities the way we might put on a jacket and Victor's not his real name anyway. The reader can't help but think of the ways that people of color are taught to put on a different personality to keep safe. He tries to separate what he is doing from the faces and fates of the individuals he captures and returns to their worst nightmare. Underground Airlines and its author drew some criticism around publication. Ben H Winters is a white man and some people were angry that his book about slavery in an alternate timeline garnered the kind of attention that similar books by people of color had not. Winters handled it very gracefully, calling attention to the books and writers of color who had inspired him and conceded that he was privileged to get a lot of publicity for his story. Ultimately, it is a story that is continuing the conversation on race in this country and a well-written story worth experiencing. Hi again, bookish friends! I hope you are enjoying your long weekends. It's going to be pretty laid back around here. We have plans for a big breakfast of pancakes and eggs and pulled bbq chicken in the crockpot for dinner. I may set up the kiddie pool in the backyard and I plan to let everyone relax for the day. Then Tuesday will be the first day of third grade for my kiddo! This week I read Amy Snow, which was a bit long but still a good read. 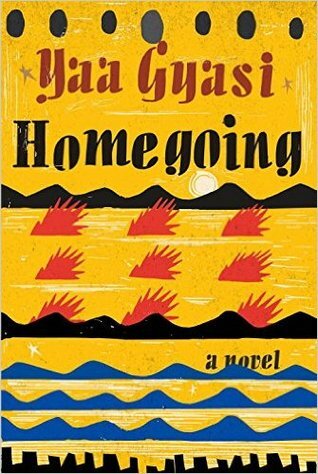 Then I switched up my intended schedule and read Homegoing, since it needs to go back to the library and then go home with some other lucky reader. 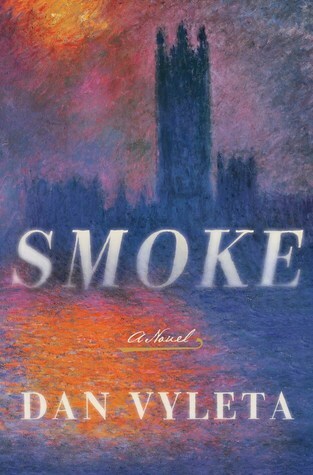 Next I'm planning to read Madeleine L'Engle's Certain Women (for real this time) and then I'm going to read Smoke, which is about an alternate version of England where smoke is emitted from people who do or think evil. What are your Labor Day plans? What are you reading this week? Goodbye August? 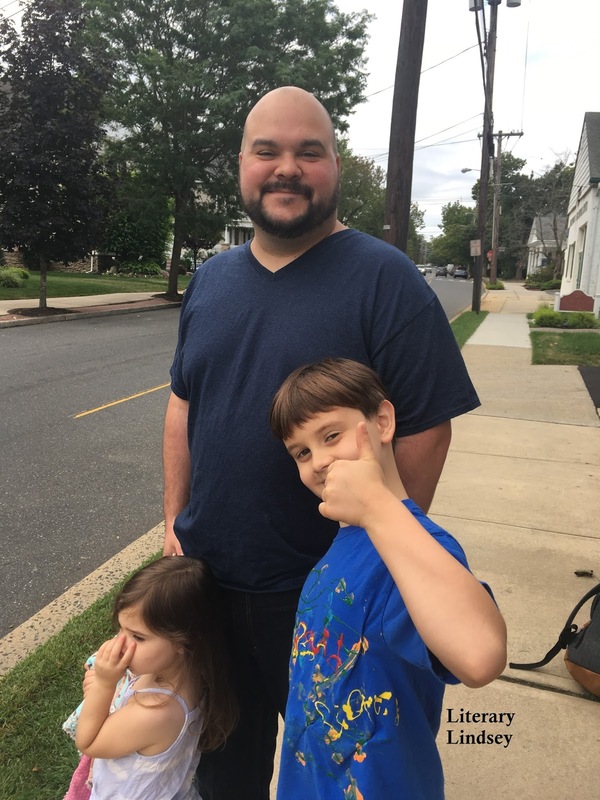 My son starts school next week and I'm trying to figure out what in the world happened to our summer. 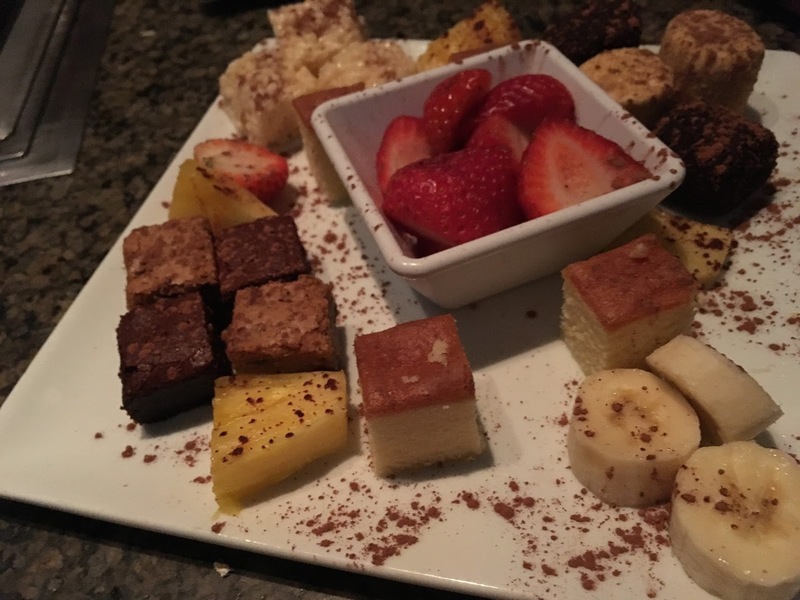 My husband and I celebrated our anniversary this month with chocolate fondue, of course. 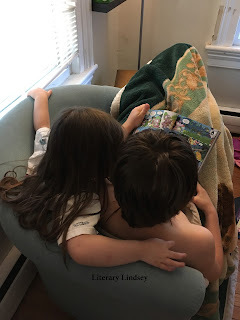 Aside from D going to soccer camp, we've been doing a little schoolwork to get back into the swing of things, reading lots of library books, and watching our fair share of My Little Pony and Digimon. 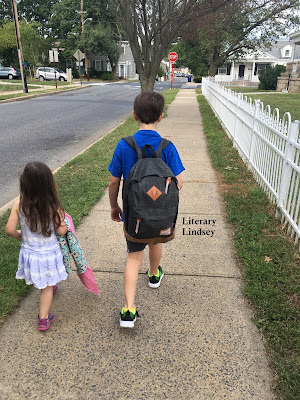 I reviewed six books this month. I'm still struggling to write reviews this summer although, at the risk of jinxing it, I seem to have the next few weeks pretty well-planned. Two books were for review, two were from the library, and two have been living on my shelves. We are on the all fiction train again this month, at least when it comes to reviews. 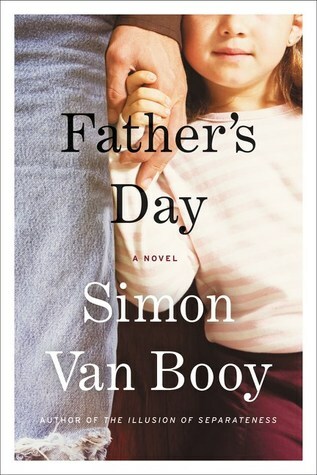 My favorite this month would have to be Sons and Daughters of Ease and Plenty, with an honorable mention to My Name is Asher Lev and Father's Day. I talked about the books I would buy if I received an endless gift card and gave some book recommendations for the theatre nerd. I also wrote a post about the disappointment of an apocalyptic novel that doesn't end in an apocalypse. I'm still rewatching Gilmore Girls, because we must prepare for November. My husband and I have been binge-watching Arrow, although we have concluded we are watching specifically for Felicity and Dig. They are the best characters and Oliver and Laurel are the worst. I had a movie night with the kids and we watched Home, which I thought was sweet. I think my son was a little bummed there weren't more action scenes, but everyone enjoyed it anyway. We made a delicious grilled chicken Hawaiian pizza. We are getting in as much grill time as we can before it turns cold with Italian pork chops and turkey burgers. 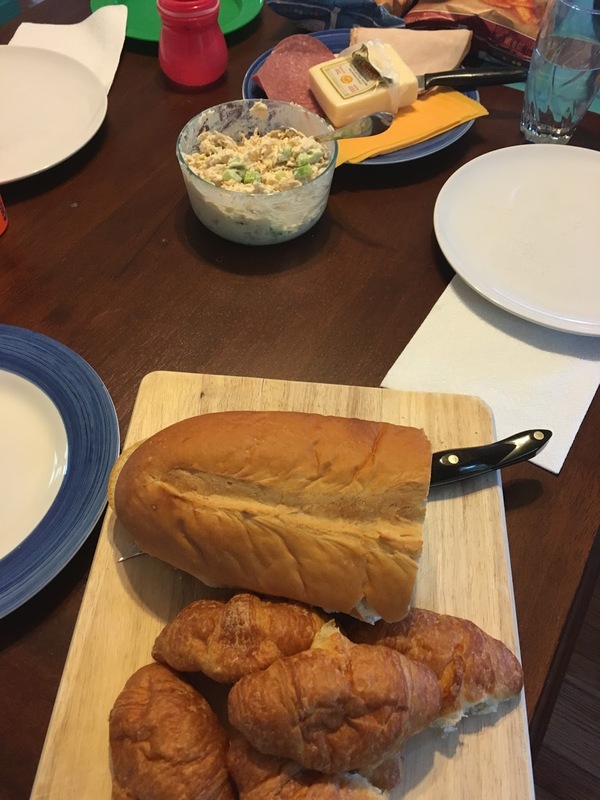 On the hottest August nights, I made some chicken salad, put out some bread and fixings, and we had sandwich night. 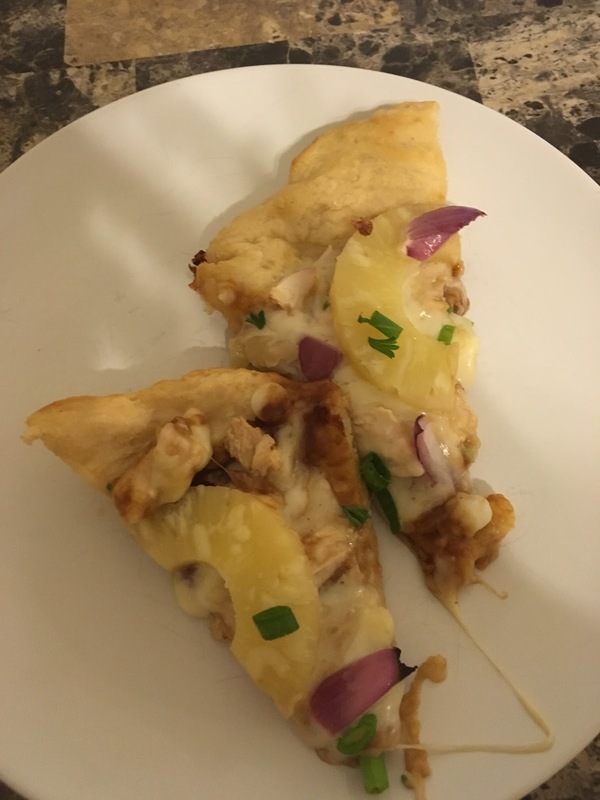 It was so easy (and delicious!). 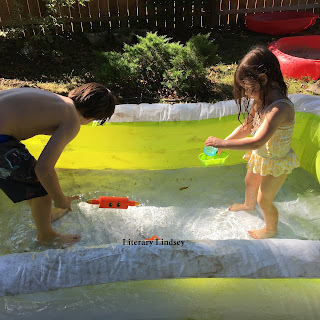 What were you into during the month of August?